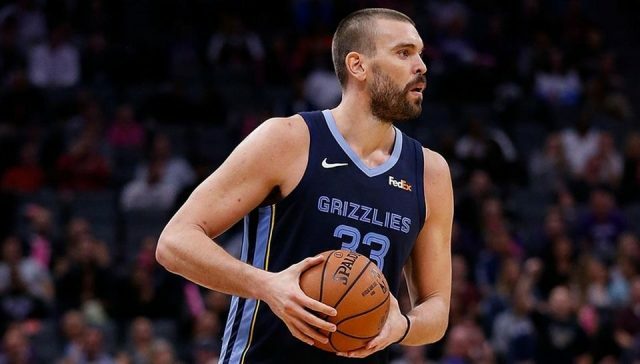 It was announced in late January that Memphis Grizzlies owner Robert Pera had sat down with both Mike Conley and Marc Gasol to let them know they were on the trade block. Gasol was the first of the two to be moved, as he was shipped to the Toronto Raptors with just more than one hour before the NBA Trade Deadline passed. The 34-year-old veteran was drafted with the 48th overall pick in the 2007 NBA draft by the Los Angeles Lakers but was then traded to the Memphis Grizzlies shortly thereafter, where he has spent all 11 seasons of his career. Three of those seasons resulted in All-Star appearances for Gasol, who has continued to put up impressive numbers in the ever-competitive Western Conference. Over 53 appearances this season, the 7-foot-1 center has averaged 15.7 points, 8.6 boards, and 4.7 assists per game. He is also getting it done defensively, putting up 1.2 blocks and a career-high 1.1 steals. Toronto sits as the second-place team in the Eastern Conference but sits just two games behind Milwaukee for the top spot entering Thursday. Now with Gasol, Toronto can place him with Serge Ibaka and Kawhi Leonard to create one of the most dynamic two-way front-courts in the NBA. Since starting 20-4, Toronto has played a slightly above-average 19-12 ball since then, and are 6-4 in their last 10. Adding a proven player at the center position was crucial for them to make a push towards claiming the top seed in the surging Eastern Conference.